Elise Pickett of The Urban Harvest led an educational event on the Gulfport campus for students and faculty. Stetson University College of Law and The Urban Harvest broke ground in October for six raised garden beds on the Gulfport campus to bring fresh vegetables to the community. “I hope the garden will provide students a way to connect with the earth and an opportunity to learn,” said Stetson Law environmental advocacy professor Lance Long. The vegetable garden at Stetson Law is the brainchild of law alumna Leah Johnson, who pitched the idea to school officials while she was a student at Stetson. During the summer, Stetson allocated money to construct the garden and install irrigation. Stetson student leaders with the Food Law Society and Go Green Committee volunteered to help with the project. “Gardening is proven to reduce stress and depression, improve brain health, and is a fantastic form of low impact exercise,” said Pickett, who donated seeds for the garden as well as labor. 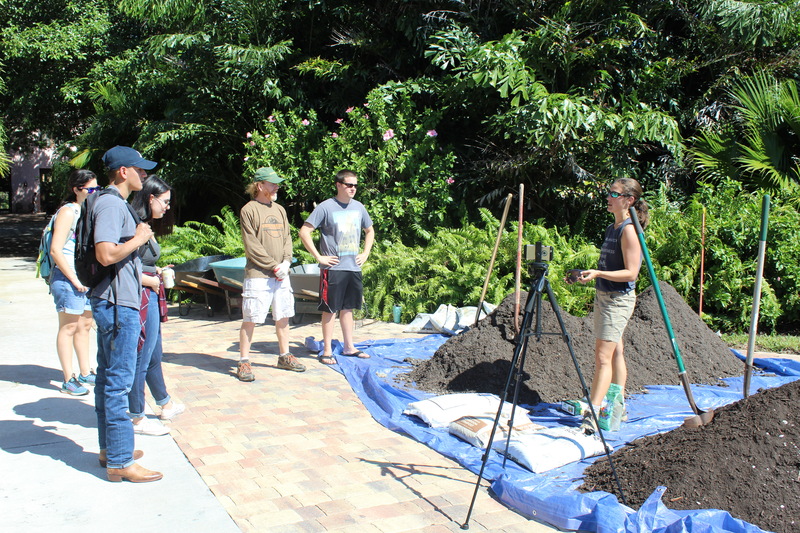 The Urban Harvest conducted a free workshop on Oct. 15, part of an ongoing series for the Stetson Law community on how to build a vegetable garden from the ground up. Seedlings were planted on Oct. 29 with a projected harvest date in December. The fresh vegetables will be sold at a local food cooperative.